The process of creating this interactive map was made possible by the years of work that Anyabwile and Sims dedicated to the development of Big City’s mythology. In the gallery, you can view images of four maps that tell the story of how Big City came into existence and how its history is incorporated into the comic’s narratives. 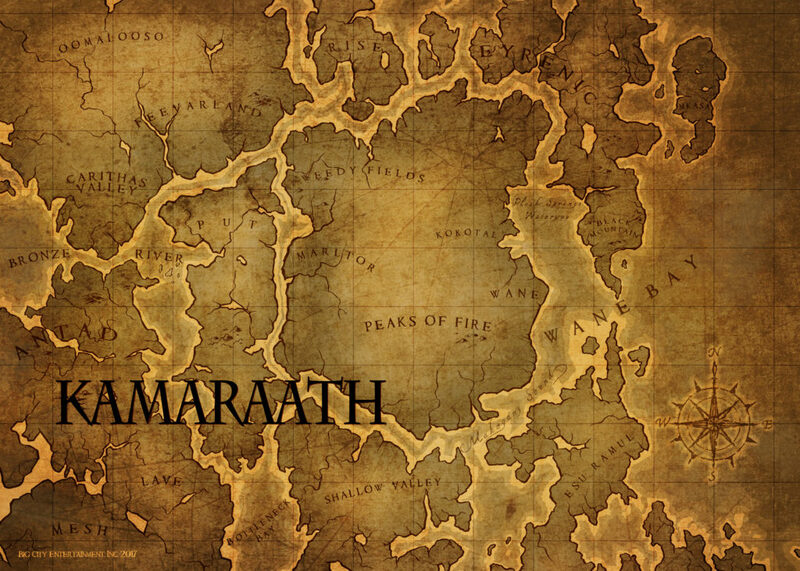 The first map is of Kamaraath, the original village founded by a character named Lyncean Big hundreds of years before Antonio Valor AKA Brotherman ever existed. This village developed over generations to include a large population, commerce, legal system, and a distinctive culture that would eventually be renamed Big City after its founder. 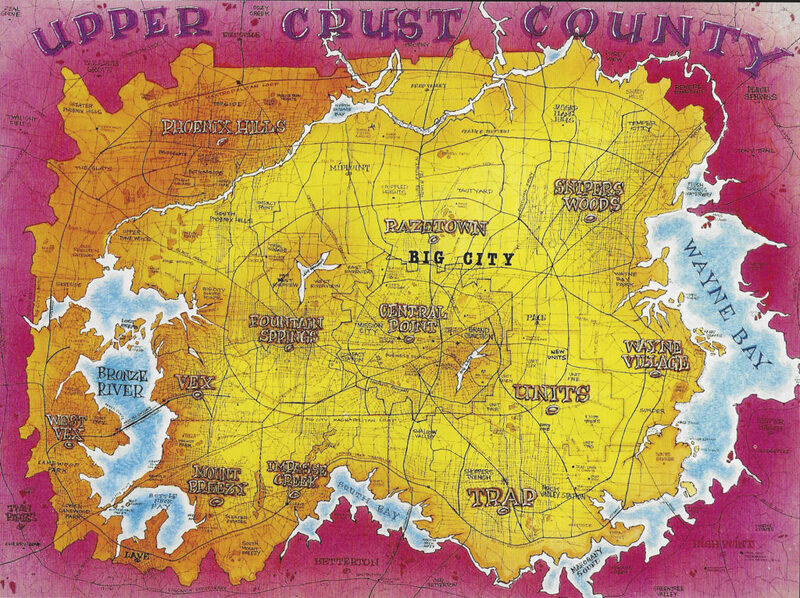 In issue #8 of the comic book series, “Sketches of the Sinister (1992),” the co-creators include the first iteration of the Big City map, titled Original Big City Map in the gallery. Here we see a drawing that includes named counties, roads, bodies of water, and land masses. 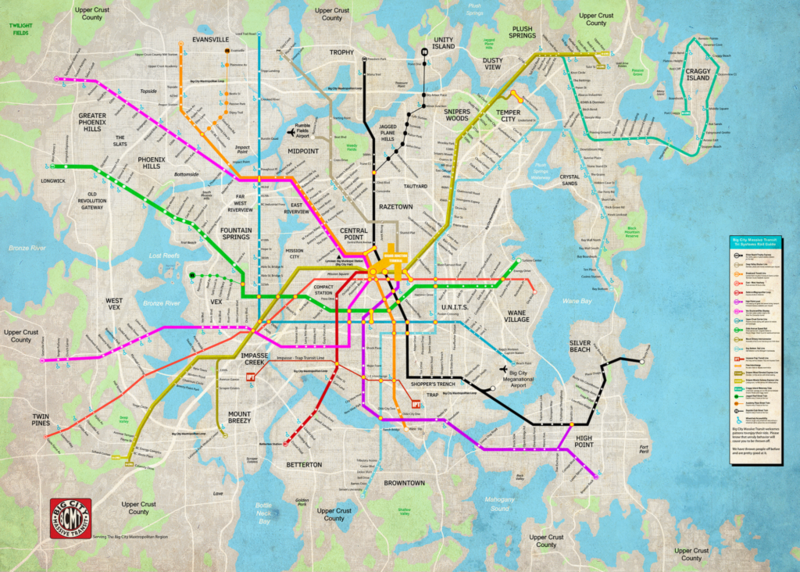 In the graphic novel, Brotherman: Revelation, the inside cover includes a digitally drawn map of Big City’s Massive Transit System. A close look at this map features multiple train lines, street names associated with each stop, as well as public accessibility signage. 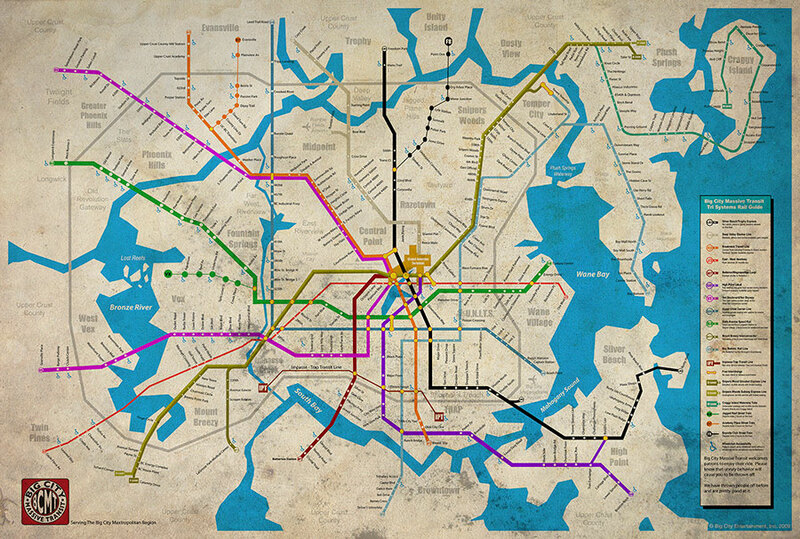 We used this existing map of the transit system and enhanced it so that it could be placed in the Tableau software. The ECDS Interactive Big City Map includes streets, highways, and longitude/latitude coordinates for the city. We also worked to create a more realistic sense of spatial relationships between land, water, and population density. 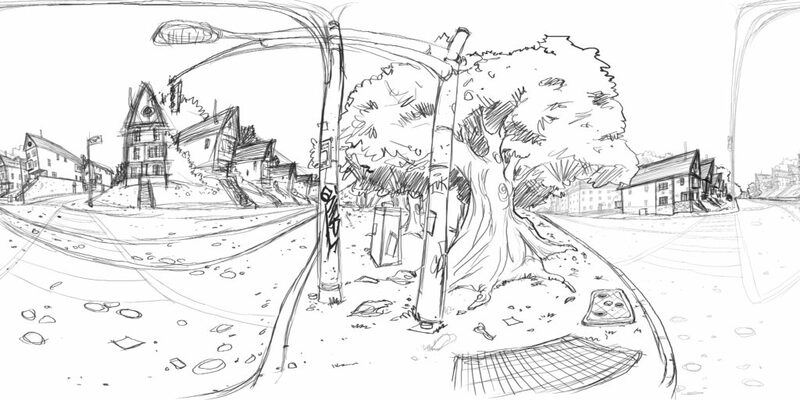 In addition, after reviewing the entire Big City Universe we identified 85 unique locations. The book’s author, Guy Sims, then created fictional addresses for each location. Each of these locations are searchable on the Tableau map and include annotations that can be scrolled over in the viewer. 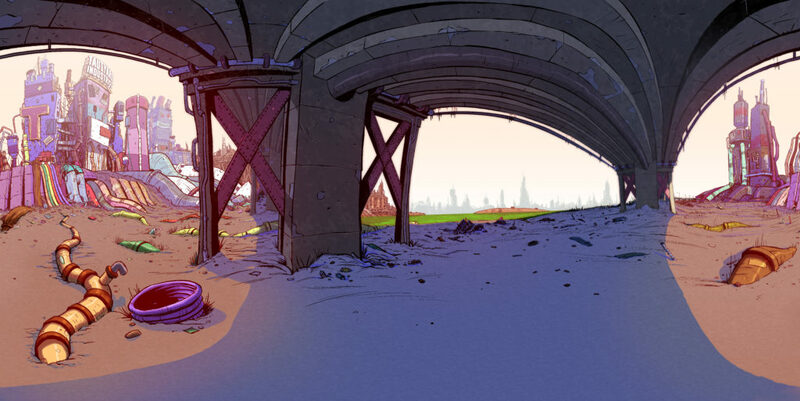 Finally, when a location is selected, an image of the issue cover and of the location within the comic book appears. To create 360 panoramic images of Big City, we identified scenes in Atlanta, GA that looked similar to locations in the comic book series. 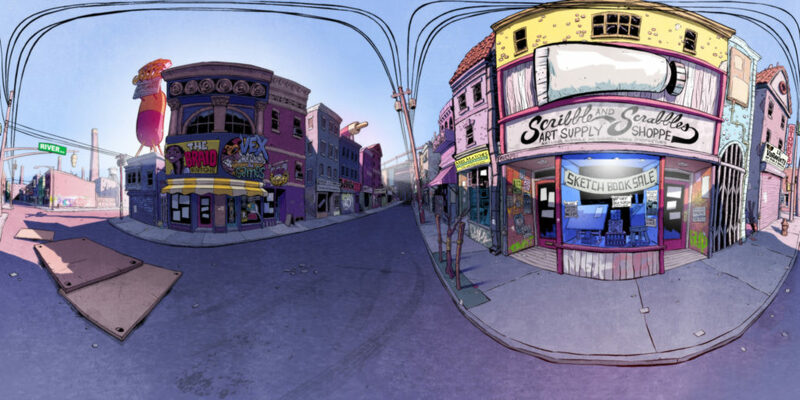 Next, we took 360 panoramic images of these Atlanta locations and provided them to Anyabwile. Using these scenes as references for depth perception and placement of light and objects, Anyabwile imitated the digital distortion of the 360 camera to produce 360 panoramic images of Big City. Our ECDS VR specialist took these 360 images and stitched them together using the Unity game engine software. Several of these addresses can be found on the Tableau map and virtual reality goggles can be used to view the street level scene from the comic book. We developed three of these street level views. The first location is 550th street, the childhood home of Antonio Valor where he lived with his mother, father, and younger sister. 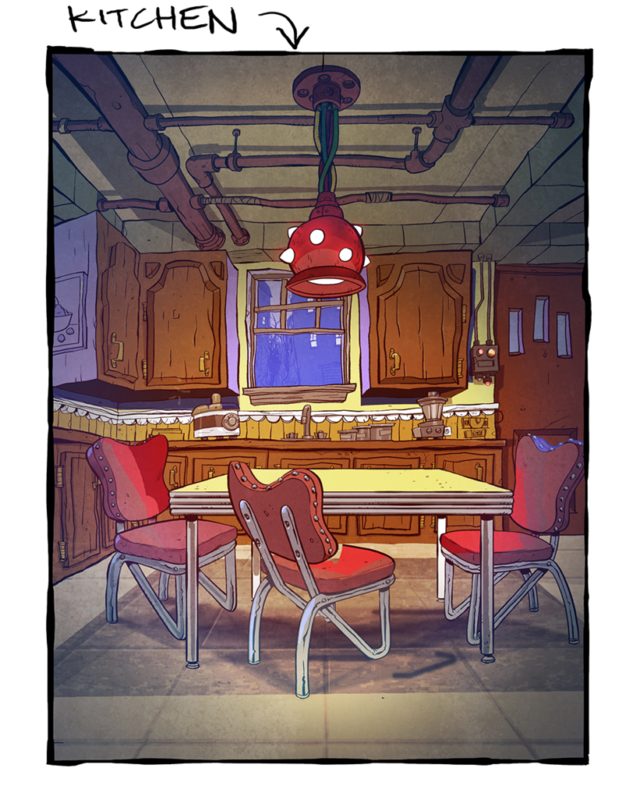 The best view of this house can be seen in the Brotherman: Revelation graphic novel. The second location is Scribble and Scrabble’s Art Supply Shoppe. This is the sight of an art forgery scheme and several related crimes in issues 6-9. 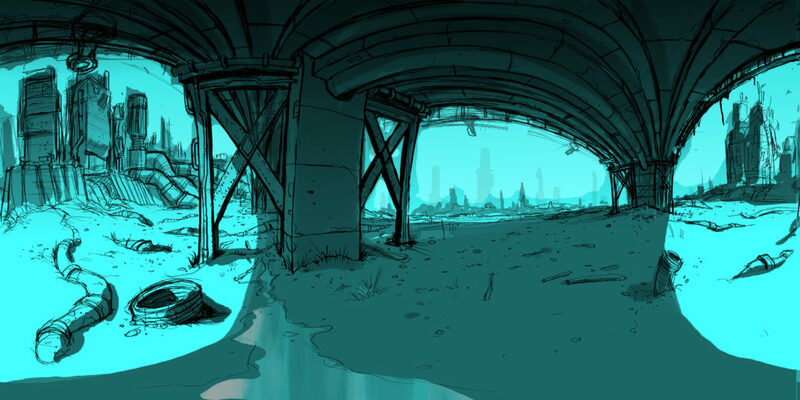 The third location is under the bridge near Tautyard Industries in Brotherman: Revelation. This location is where two gangs, the 456 Strongarms and the Wayne Bay Brawlers, have an epic battle that leads to Antonio Valor’s father, Leonard, becoming the leader of the 456 Strongarms. 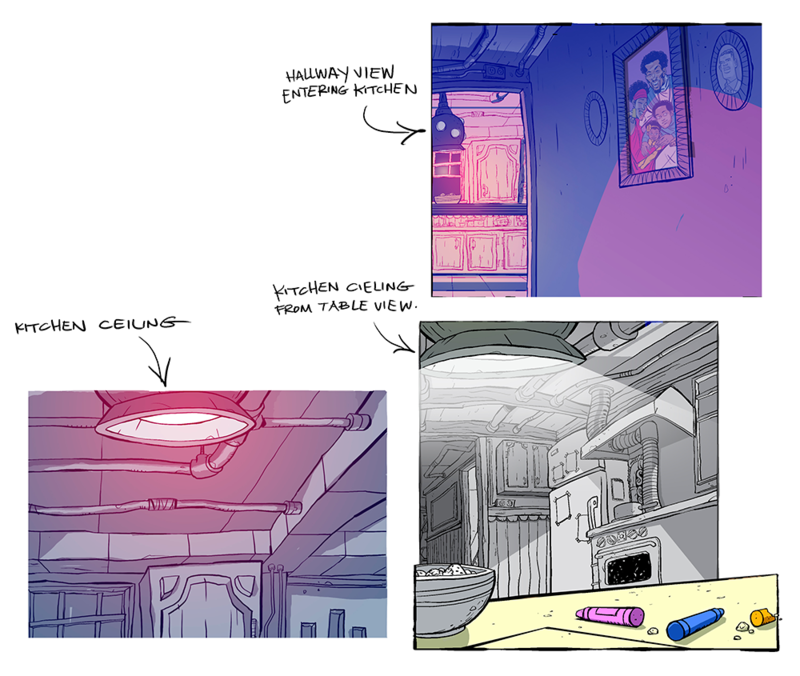 In the gallery, we feature the process images of each panoramic drawing. 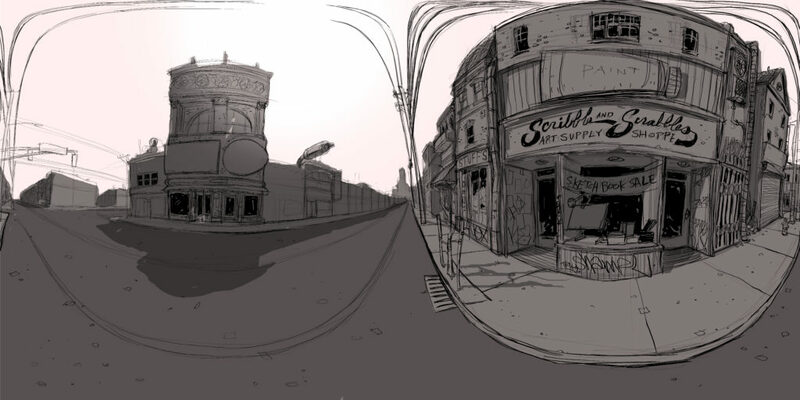 These images represent the stages of development toward creating an immersive view of Big City. 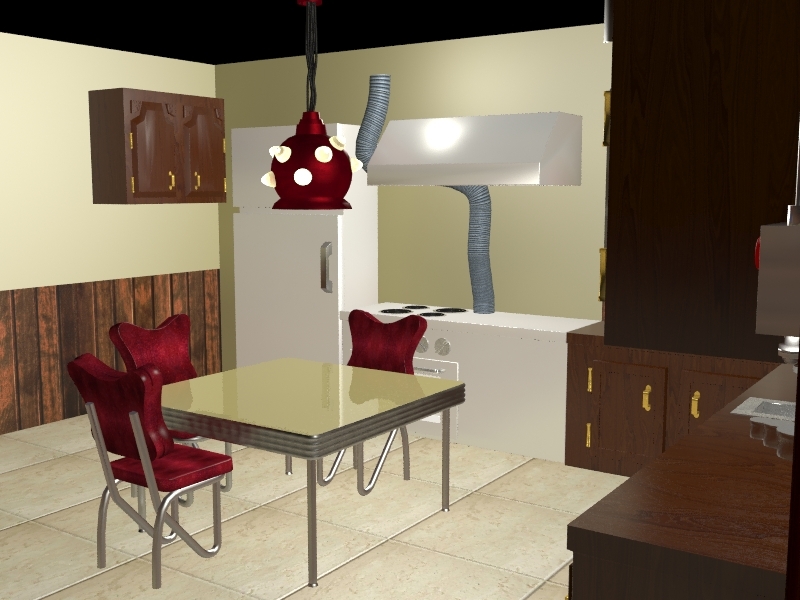 To create the 3D model, we took floor plan sketches developed by Anyabwile and used them as references to build out the kitchen area from the Valor Home. 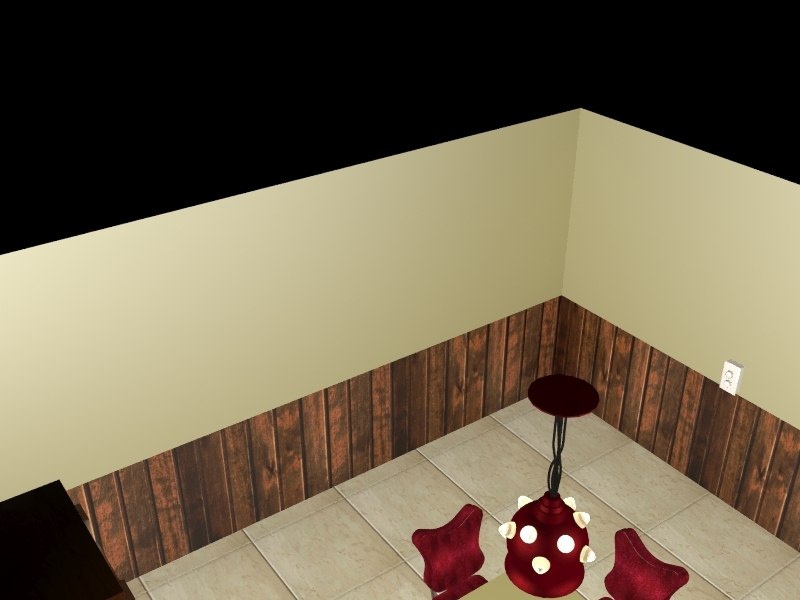 Using Autodesk 3ds Max, we recreated the geometry of objects in the scene—like furniture, walls and floors—using polygonal modeling techniques starting with basic shapes. 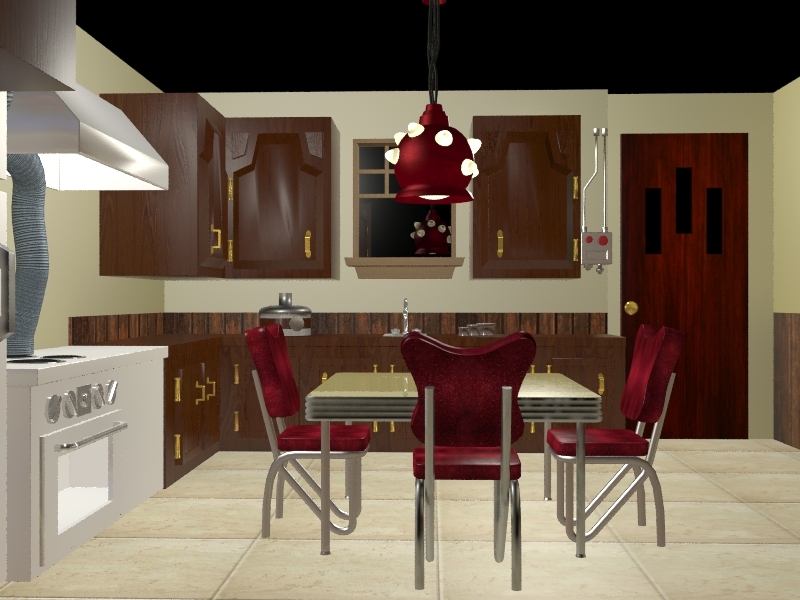 Once the surface geometry was built we developed textures for each object and mapped them onto the models. 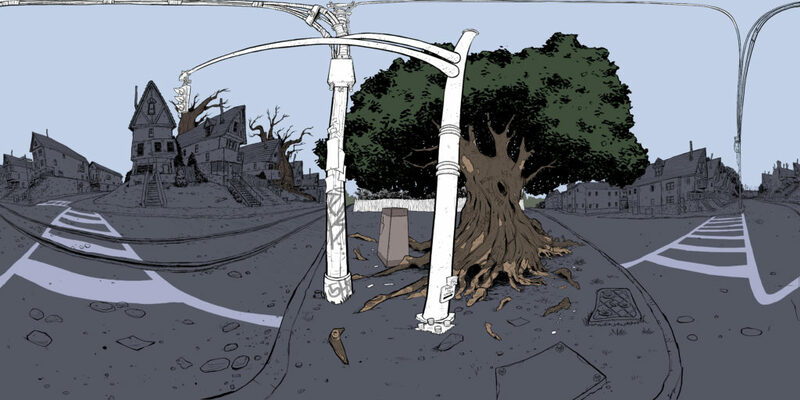 We then imported the project into Unity and gave the scene dynamic features such as weather effects. 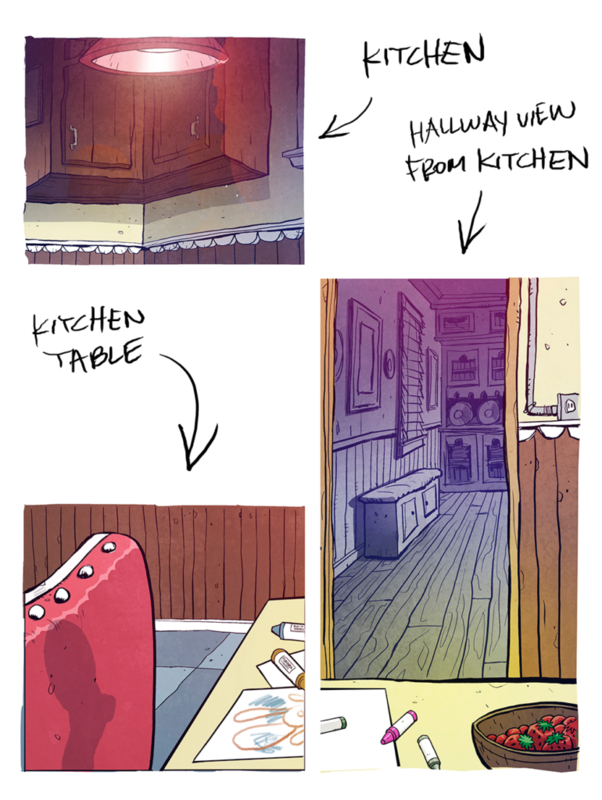 Finally, if you look through the windows, you will see the neighborhood drawn by Anyabwile from 550th street!